The SWEDIA Klaas mixer is a solid sanitary grade stainless steel mixer. Its timeless minimalist design and highly reliable components make it a popular choice for new kitchens. 15 year warranty. The Klass Kitchen Mixer exudes simplicity with its flawless minimalistic design. The perfect goose-neck design and classic pencil handle make this a timeless piece for any kitchen. 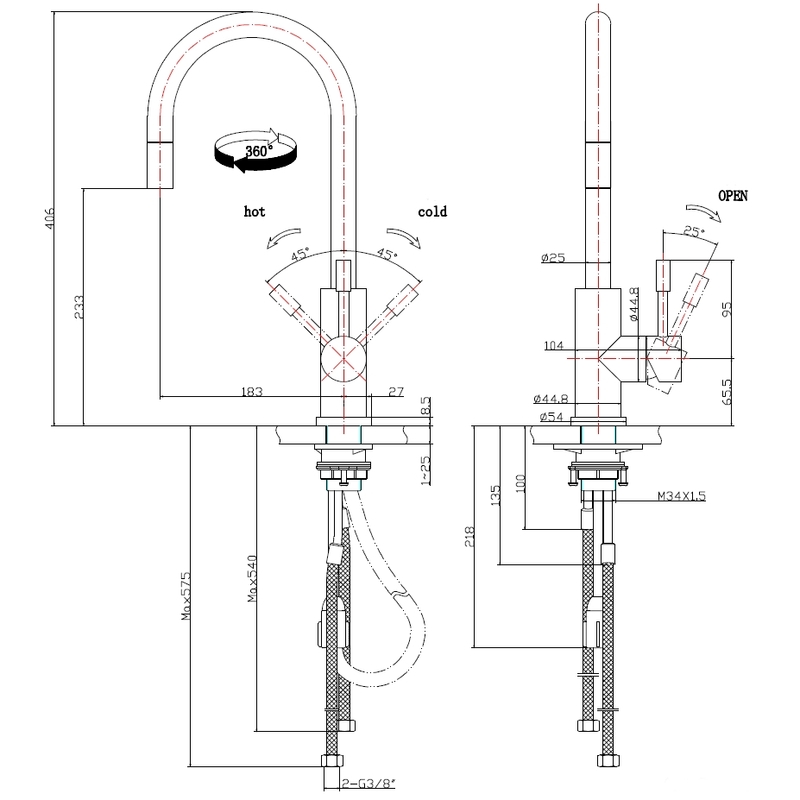 Its Neoperl Swiss aerator and Tucai Spanish supply hoses provide a perfect stream of water for your kitchen needs. This is not just a highly practical kitchen tap - it is a piece of art. Click on the book to download the instruction manual for this product.